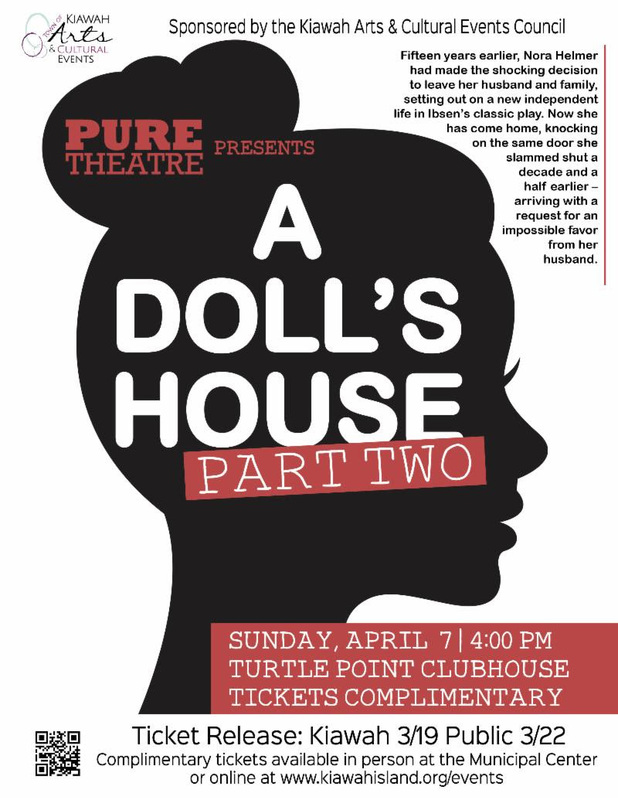 The Kiawah Arts and Cultural Events Council brings A Doll’s House, Part 2 to the Turtle Point Clubhouse on Sunday, April 7, 2019 at 4:00 pm. Complimentary tickets are available in person at the Kiawah Municipal Center or on-line. Ticket release for Kiawah is on March 19, 2019 and for the public on March 22, 2019. Learn more. Nominated for 8 Tony Awards in 2017 and the winner of the 2017 Outer Critics Circle Awards for Outstanding New Broadway Play, A Doll’s House, Part 2 continues the story of Nora Helmer, who, in the final scene of playwright Henrik Ibsen’s 1879 groundbreaking masterwork, makes the shocking decision to leave her husband and children, and begin a life on her own. This climactic event—when Nora slams the door on everything in her life—instantly propelled world drama into the modern age. In A Doll’s House, Part 2, many years have passed since Nora’s exit. Now, there’s a knock on that same door. Nora has returned. But why? And what will it mean for those she left behind? This entry was posted in The Arts. Bookmark the permalink.